MJBizCon, the world's largest marijuana industry conference, was big enough to be its own neighborhood. The event packed the Las Vegas Convention Center in November with 27,000-plus attendees and booths with club music and light-up flooring. At a hotel after-party some two-dozen floors above the city's casino glare, someone joked about making T-shirts saying "Public In Canada," a nod to the U.S. marijuana stocks crowding the Canadian Securities Exchange. Participants pitched business deals at bars. They pitched deals at McCarran International Airport. In the convention center's hangar-sized presentation hall, outfitted with a large screen displaying video above the stage, speakers reflected on the post-midterm election political demise of Jeff and Pete Sessions, to occasional applause. But the swagger obscured a big problem facing the marijuana industry: How to get recognized when few recreational users know or care about the company making their weed. 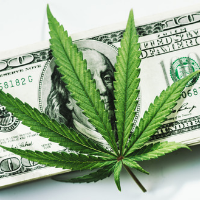 Analysts say cannabis branding – the art of getting people to associate a corporation with a plant that gets you high – will determine who ultimately prevails in a still-messy legalized recreational marijuana industry. But as legal sales boom and investors jump in, researchers and executives say few consumers have heard of even the most well-known cannabis products in the U.S. or Canada. To stand out, top marijuana companies are turning to sleek packaging, cute names and even celebrities like Martha Stewart. Top cannabis experts are ready to announce a prediction that could change everything this year... We'll cover exactly what you need to know to take advantage of the situation. Click here for the full story.